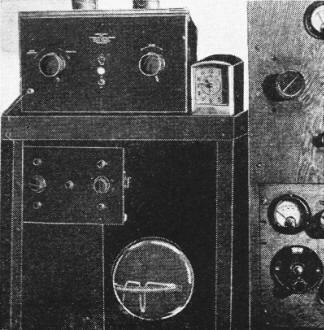 Although not mentioned here, it was amateur radio operators who first discovered the ability of the ionosphere to reflect and bend short wave radio waves to enable round-the-world communications. 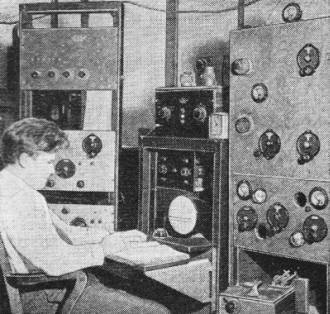 Ironically - or perhaps expectedly - the U.S. Congress in 1912 passed the Radio Act of 1912 that restricted amateur radio operation to frequencies above 1.5 MHz (a wavelength of 200 meters or less). Shortly thereafter, the FCC reclaimed much of the spectrum for itself. At one time it was thought that there were two general ionized regions, an upper and a lower. As a result of recent researches it is now known that the ionosphere is composed of at least five, and possibly more, reflecting regions, the heights of which are not constant and may even shift relative to each other. When you pick up your telephone and talk with a friend in Europe, South America, or Hawaii, the radio waves commonly employed to carry your voice do not cling to the earth in their journey, but reach their destination-after being reflected from some point high in the atmosphere. 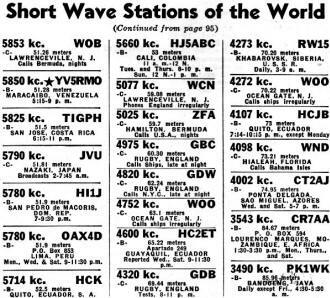 For short-wave transmission, it has been known for some time that as the receiver is moved away from the transmitter, the received signal becomes weaker and at a comparatively short distance - from 50 to 100 miles - disappears entirely into the background of noise. As the distance is further increased, however, the signal will reappear, and become strong. This phenomenon is known as the "skip" effect. 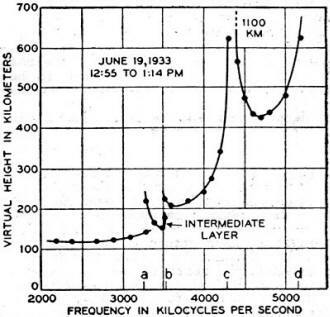 Its observation led to the inference that short-wave signals are returned to the earth at great distances from the transmitter by being reflected from some of the upper layers of the atmosphere. 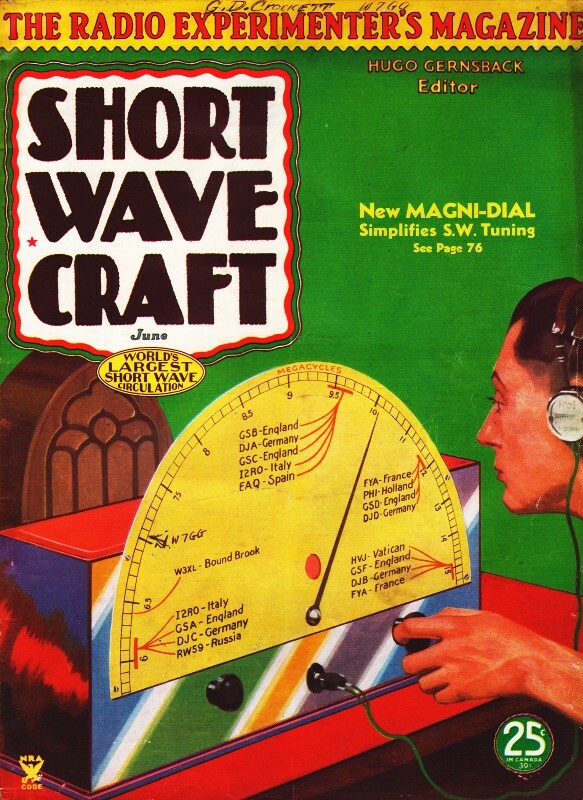 Without such a reflecting region, long-distance radio communication by short waves would be impossible. It is obviously desirable to have as sound a knowledge as possible, both of the physical nature of this region and of the method by which radio waves are propagated through it. With this in view, experiments have been carried on for some time by J. P. Schafer and the writer at the Deal Laboratory. Fig. 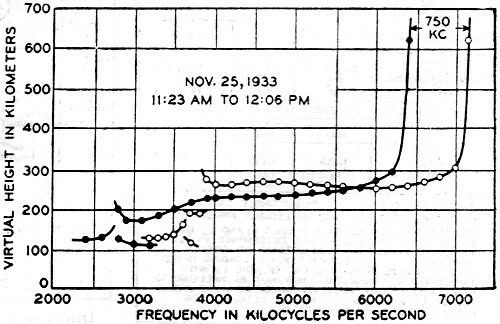 1 - Radio waves are not reflected as light from the surface of a mirror, but in effect curve around at a decreased velocity. Fig. 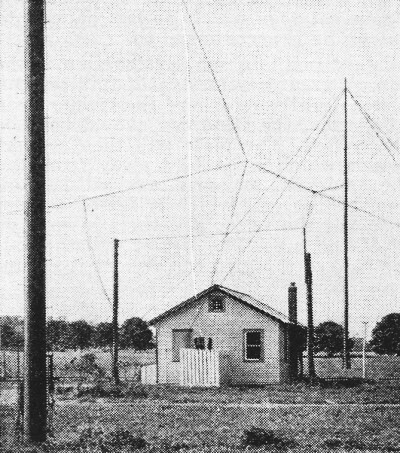 2 - Ionosphere measurements are made in a small building with transmitting and receiving antennas stretched above it. Fig. 3 - A pattern on a cathode ray tube furnishes the necessary data for calculating virtual heights. Fig. 4 - A plot of virtual height against frequency showing at least three critical frequencies. Fig. 5 - Positions of various ionized regions in the upper atmosphere. Fig. 6 - Virtual height and frequency plot for two components of reflected wave. Fig. 7 - Possible multiple paths for radio transmission. 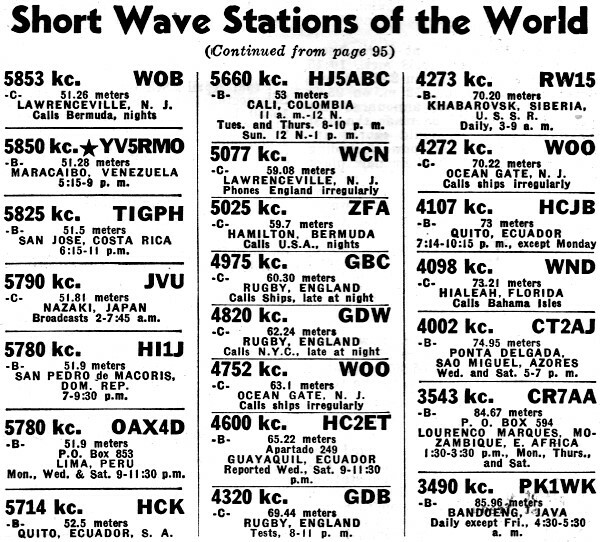 Short Wave Stations of the World. 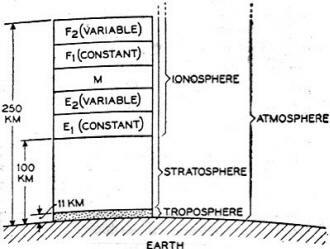 Early in 1882, Balfour Stewart had suggested the existence of a conducting layer high in the atmosphere to explain variations in the magnetic field of the earth. 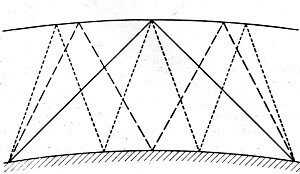 In 1902, Kennelly and Heaviside had independently also used the assumption of a conducting layer to provide a mechanism capable of reflecting radio waves. In spite of these early suggestions, however, it was not until the last decade that experiments had been carried out which were sufficiently direct to satisfy the few who held to the bitter end that a conducting layer is an unnecessary assumption. Today, however, no one questions its existence. The evidence admits of no other interpretation. Present-day knowledge of conductivity in gases suggests that this conducting layer is an ionized region of the atmosphere. Ultra-violet light from the sun is, under favorable conditions, a powerful ionizing agency, and might well produce these ionized regions. From measurements made by the Laboratories during a recent solar eclipse, moreover, it appears that the sun is largely responsible for ionization in at least two of the reflecting regions of the upper atmosphere. The atmosphere surrounding the earth may be divided into two or more layers. The lower of these, extending upward to about eleven kilometers above the earth, is known as the troposphere. In this region clouds form and temperature decreases in proportion to altitude. In the region above this level, called the stratosphere, the temperature does not vary with altitude and cloud formations of the type found in the troposphere never appear. It is in a still higher region that radio waves are reflected, and it has been suggested that this latter region be called the ionosphere, a name that was derived from its most important attribute - ionization. 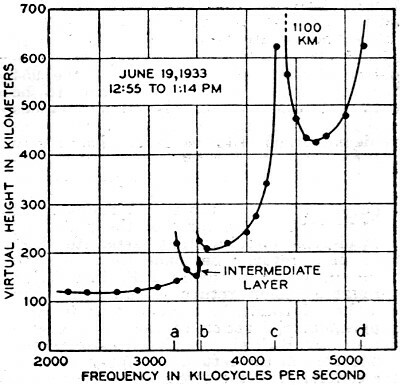 A convenient method of studying the ionosphere is to measure the time required for a radio signal to travel to the reflecting layer and back to the earth. Knowing the velocity of the waves, one can easily compute the distance to the point of reflection from the total elapsed time, much as the distance to a mountain could be calculated by timing the return of a sound echo. With radio waves, however, an uncertainty enters because the reflection does not occur sharply at a plane. The wave penetrates the ionized region for some distance and in this region its velocity is reduced. Because of this, two heights are referred to - the virtual height and the actual height. Virtual height is that calculated on the assumption that the radio wave travels with the velocity of light to the reflecting plane where it is sharply reflected and returns at the same velocity. Actual height is that of the highest point the wave reaches. The situation is suggested diagrammatically in Figure 1. When the virtual height is independent of frequency for a considerable range of frequencies, the virtual height is probably not greatly different from the actual height. When virtual height changes with frequency; it may be several times the actual height. 0nly the virtual height can be measured directly, but from plots of virtual height against frequency together with certain reasonable assumptions, it is possible to estimate ionic density of the different reflecting regions and to make approximate ,estimates of the actual heights. For measuring virtual heights a radio transmitter and receiver are mounted side by side so as to be controlled by a single operator. The arrangement is shown in the photograph at the head of this article. 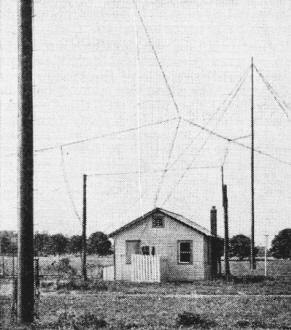 Transmitting and receiving antennas are located above the small building housing the testing apparatus, as shown in figure 2. Short pulses are sent out from the transmitter at the rate of sixty per second, which travel up to the reflecting layer and back to the ground. The receiver picks up both the direct and the reflected signal, and the time displacement of the two is a measure of the virtual height of the reflecting layer. The output of the receiver is connected to one pair of deflecting plates of a cathode ray tube, while the other pair of deflecting plates is connected to the sixty-cycle source that controls the rate of emission of the transmitted pulses. When no signals are being sent out, the pattern on the cathode ray tube is a horizontal straight line caused by the electron stream sweeping back and forth across the tube sixty times a second. When pulses are being transmitted, the motion of the electron stream across the tube will be deflected vertically twice or more each trip - once for the direct pulse picked up and once or more for the reflected pulses. The appearance of such a pattern is shown in Figure 3. The time of sending the pulse relative to the sixtvy-cycle-current can be adjusted, and is usually chosen to bring the first or direct received pulse near the left edge of the tube and at the zero of the small scale fastened on the front of the tube. The position of the second or reflected pulse can then be read directly from this scale. Since the receiving antenna is immediately adjacent to the transmitter, the direct signals are much stronger than the reflected ones, If the gain of the receiver is increased until the reflected signal produces a satisfactory deflection; however, the overloading effect limits the amplitude of the direct pulse to a satisfactory value. 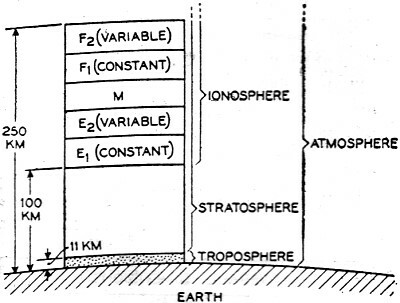 An extremely useful method of studying the structure of the ionosphere is to measure the virtual height as a function of frequency. 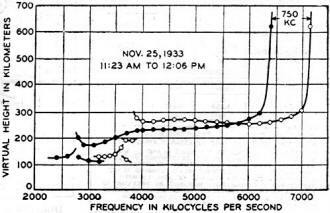 To secure such data, the frequency is changed so rapidly that the condition of ionization remains essentially constant during the experiment. A plot of one such set of measurements is shown in Fig. 4 above. The significant feature of the relationship shown is that the virtual height remains essentially constant for a range of frequencies and then suddenly increases. Beyond these critical frequencies the virtual height rapidly decreases, but always to a value higher than that found below the critical frequency. The critical frequency is that at which the lower reflecting layer is completely penetrated, and the virtual height beyond the critical frequency is that of the next higher layer. The large virtual height obtained at the critical frequency is not due to a greater penetration but to a decrease in velocity of travel through the penetrated layer at the critical frequency. From such sets of measurements it becomes evident that there is more than one reflecting layer in the ionosphere. At one time it was thought that there were two general ionized regions, an upper and a lower, designated the F and the E respectively. As a result of studies made by the Laboratories, however, it is now known that the ionosphere is composed of at least five, and possibly more, reflecting regions. Their heights are not constant and may even shift relative to each other, but a typical indication of their arrangement is shown in Figure 5. The various regions differ not only in their heights but in the manner in which their ionization varies. In regions E1 and F1 the ionization throughout the day varies uniformly with time in a manner that would be expected if the ionizing agent were the sun. The same cycle of ionic density repeats itself day after day, attaining a maximum shortly after noon. Tests made during the solar eclipse a few years ago indicate strongly that ultra-violet light from the sun is the ionizing agency. In the other regions, the ionization varies in an erratic manner from day to day and even from hour to hour. During winter the ionic density in the F2 region may change as much as fifty per cent in from 15 to 30 minutes. The maximum for this region usually occurs about noon in winter and about sunset in summer. The ionization of the M region sometimes varies in a constant manner, as does that of the E1 and F1 regions, and sometimes varies erratically from hour to hour. Because of this variation in ionic density, it is not always possible to find all the regions at the same time. 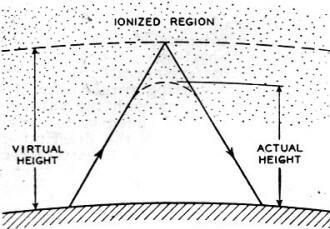 If, for example, the ionic density of the E2 region should be greater than that of any higher regions, signals that completely penetrated the E2 layer would not be returned to the earth, giving no indication of the existence of higher levels. In general a signal that completely penetrates one layer will be reflected only by a layer of higher density. Besides this complexity of reflecting regions, there is an additional complication caused by the effect of the earth's magnetic field. In such a field the signal is split into two components, each of which in general is reflected at a different virtual height and has a different critical frequency. This is indicated in Figure 6, where one component is indicated by black dots and the other by circles. The effects described so far are detected when the transmitter and receiver are side by side, and the signal is transmitted up and back vertically. 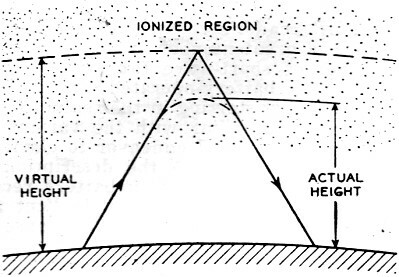 When the receiver is at a considerable distance from the transmitter, however, the reflection phenomena are further complicated by there being a number of paths which use different parts of the ionosphere for reflection as shown in Figure 7. When it is remembered that the reflection along all of these paths encounters the diversity of reflecting regions and the splitting effect of the magnetic field already described, it becomes apparent that the transmission of short waves must be a very complicated process. Fundamental studies of the elements of this type of propagation should contribute materially to the improvements in long-distance radio transmission which the next few years should bring forth. -Bell Laboratories Record. * Radio Research, Bell Telephone Laboratories.